Designed for your extended day hunt. 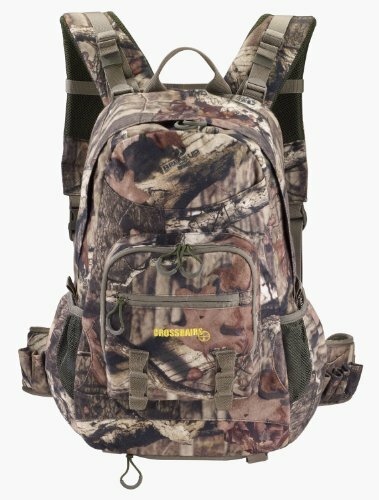 This camo Hydro Rifle Day Pack features a Air-mesh suspended back panel for maximum breathability, contour padded shoulder straps, adjustable sternum strap, and padded waist straps for a comfortable hike even with a heavy load. The Brushed tricot fabric keeps you quiet on your stalk while the drop-down buttstock holder offers a convenient carrying place for your rifle. Equipped with pullout blaze orange safety panel and front large organizer pocket to keep your small gear organized. Bottom compression straps perfect for coat or tarp and mesh exterior pockets for quick storage. Hydration port and large internal bladder pocket for adding H2O storage. Made with a durable, silent, Brushed Tricot fabric.